Since 1850 we have served God’s people and the Church by responding to the needs we observed, and in the places where we were called. Our congregation’s foundation sprang from the invitation of Bishop Alemany to Sister Mary Goemaere to come to the New World to provide Catholic education. Beginning in 1850, we founded seven schools, and ministered in thirty-two others in California and Nevada. From pre-school through college, Dominican education has consistently been regarded highly for its academic rigor as well as its thorough grounding in the faith. Many women discovered their vocation to religious life in our congregation having attended our schools. Many students went on to become teachers, having been inspired by the Sisters who taught them. Many generations of children and their families treasured their days of learning to pray and study in a community of life-long learners, centered in the lessons of the Gospel. While we began with a primary focus on education, there were more than enough needs for Catholic Sisters in the western United States of the late 18th – early 19th centuries. We ended up running two hospitals, one in Stockton, California, beginning in 1899, and one in Reno, Nevada, beginning in 1912. 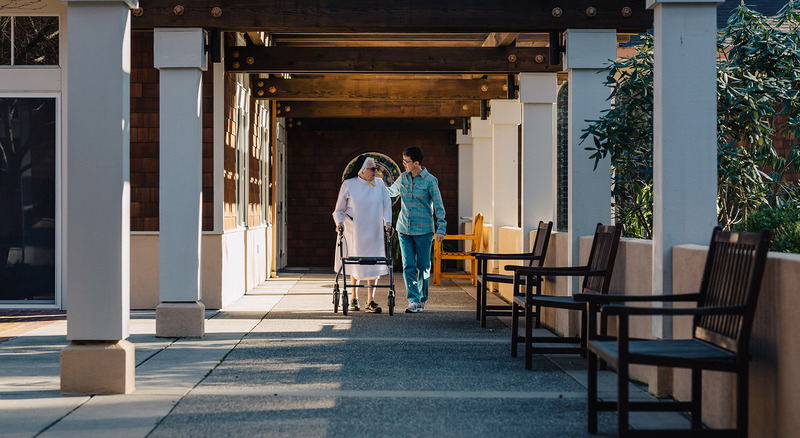 Today we co-sponsor, with five other congregations, Dignity Health, is not-for-profit public-benefit corporation that operates hospitals and ancillary care facilities in three states. Vatican II challenged women religious to reflect on their purpose and expression of their commitment to serving the Church. Pope Paul VI, in his 1971 Apostolic Exhortation on Renewal of Religious Life, wrote, “How will the cry of the poor find an echo in our lives?” Dominican Sisters of San Rafael responded to the call by educating themselves and moving out into parishes and social service agencies, sometimes beginning their own ministries, to meet the critical needs of the times. Some Sisters found themselves drawn to ministry as spiritual directors, retreat leaders, and Bible study teachers, reaching out to meet an increasing spiritual hunger in our society.